Tourspecgolf opened its doors in 2002 and it’s been an amazing journey ever since. From the early days of simply being a golf forum and ebay seller, to becoming the world's Number One online source for Japanese golf equipment & information, we’ve tried to stay true to our core belief in delivering an exceptional experience for our community and customers. We owe a huge thanks to our community for supporting us on this epic ride and hope that you’ll continue to be a part of our growing story. We are not just your average golf enthusiasts, we are a team of highly passionate individuals that love what we do. We live and breathe to create the best community and experience possible for the discerning golfer. Each member of our team has their own presence, thoughts and opinions based on our life experiences on and off the course. Everyone at TSG is maniacal about the game of golf and highly educated on fitting, and of course golf equipment and manufacturing. We at TSG, hold the highest standards when it comes to the brands and products we carry and the strong belief that offering the best is the only way to go. 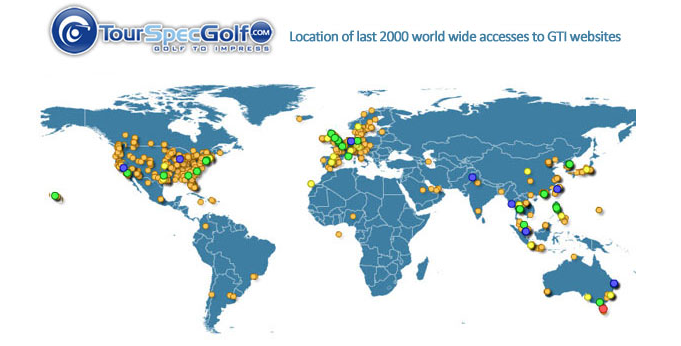 Tourspecgolf.com has been in business for over 12 years and have over 17,000 customers worldwide. We have been supplying all of Japan's best brands to satisfied customers around the world with this promise to each and everyone of you. - We Promise to provide honest detailed information so you can make the right decisions. - We Promise to provide value to our customers/members 100% free at no cost. - We Promise to listen to our customers/members ideas and opinions. - We Promise to give our customers exceptional customer service. - We Promise to help our customers with warranties and after service. - We Promise to do our best to give you the best online shopping experience. It's hard to believe its been 12+ years since, my wife Jacque (Tourspecgirl) and I decided to take a 3 week vacation to Japan. Little did we know that this 3 week vacation was just a prelude to a 3 and half year stay in Japan and the birth of TSG (Tour Spec Golf). After overcoming the culture shock that Japan so commonly gives to foreigners, we fell in love with the country and decided to prolong our stay by taking up English Teacher positions at several English language schools around Japan. We were very lucky to be able to work in such a fascinating country, a society meshed and intertwined with technological advancements and the preservation of thousands of years of culture and tradition. Where else can you find a kimono clad geisha strolling down a stone cobbled walkway surrounded by traditional Japanese architecture from the 12th century while watching TV remotely on her own cell phone. Yes, only in Japan. Besides all the technology, attention to detail, and culture that surrounded us, one thing that really stood out was how Japan is a place that caters to hobbies. 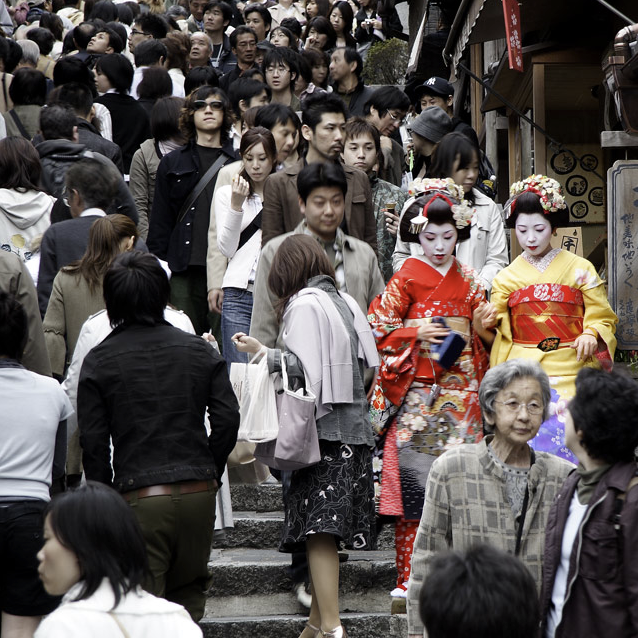 Hobbies like traditional Japanese arts or learning languages or dance, collecting brand name bags and clothing, or anime and toys, having hobbies is socially acceptable and helps define a person in Japan. For us, this hobby was GOLF, a game we both have been playing since we were children. While golf was and still is a passion of ours, Jacque started her own side business in Japan buying all sorts of ceramic plates and bowls from the 100 yen shop (Japan's equivalent of the Dollar Store) and selling them on eBay. We had an online customer who purchased a large bulk of our goods, which in turn had us driving around Japan in a rented van buying up all the plates we could find from all the 100 yen shops. This was our first foray into the world of e-commerce and Japanese business. One day, the gentleman who was buying up all our plates had a friend who was looking for a Japan only Cleveland wedge. I walked into a golf shop for the first time and was in shock as I was transported into golf gear heaven. The plethora of equipment and brands that were available was mind boggling. I trembled with excitement as I handled these beautiful clubs and began making a wish list of what I need to get to make up my new bag. When I got home I started looking online and noticed that Tourstage MR-23 Cavity Backs were going for around $1500 new on eBay and another golf site so I made a deal with a local golf shop to buy 10 sets at 50,000 yen each. I posted these sets on eBay and they sold like hotcakes! I realized that there was so much to offer when it came to Japan Domestic Market golf gear so I took the money I made and started TSG. I wanted to share what I had found with fellow golf enthusiasts from all over the world. Most of my days in Japan were e-mails and Private Messages in the morning then catching the train, a one hour ride to Yokohama to teach 2-5 year old kids English from 10am - 6pm. I'd then come home and teach private students till 9pm, handle more PM's and e-mails and ship out gear on the weekends. Jacque was working full time at minimum wage at the army base gym near our home in order for us to live in Japan under the US military. She used all her lunch breaks and after work teaching private English lessons to make ends meet, then e-mails and orders processing at night. Our original Japanese home, office and store room was 6 tatami mats (less than 100 sqft apartment) large with 2 computers and a small loft to sleep in. Clubs lined the hallway all the way into the kitchen. Crowded living conditions aside, this was a very important time in Japan for us as we learned how the Japanese did business and made many contacts in the golf industry. TSG continued to grow as awareness and demand of Japanese gear began to increase. Tourspecgolf.com continued to evolve making more and more products available to golfers and the online community which we are very proud of became a wonderful source for golf enthusiasts to share information, friendships, experiences and our common love for golf and equipment. I consider myself a very lucky person as golf not only became my job but continues to be a love and passion of mine. I hope to continue to share this passion with my fellow golf enthusiasts around the world by helping them find golf gear that can bring their game to the next level. www.Tourspecgolf.com - Golf to Impress!